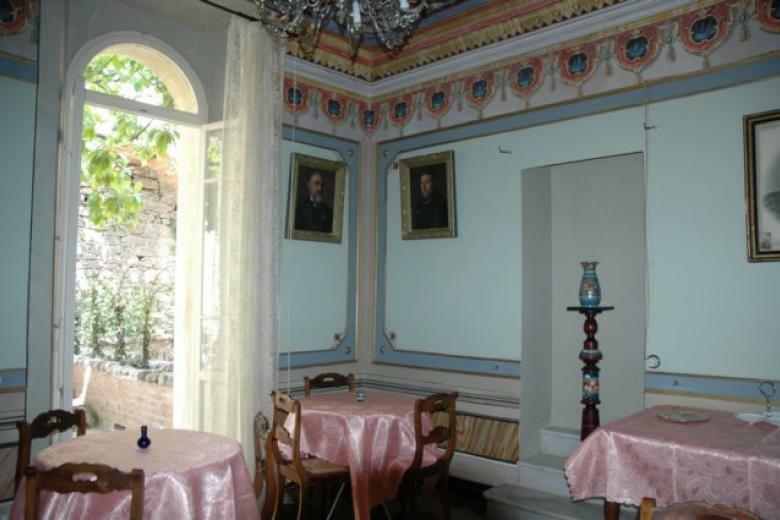 This is a renovated home of a bishop and is very elegant with beautiful frescoes. Entry with sweeping stairway upstairs. Three king bedrooms have baths, and there is another double bedroom that does not have its own bath. Drawing rooms, dining room opens to outdoor terrace and garden, large and very modern kitchen. 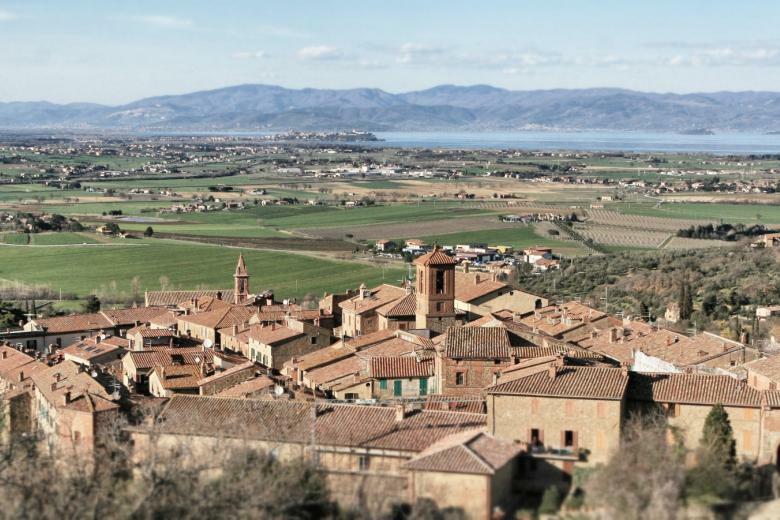 Panicale is a quaint little village with a lot going on. There are restaurants, cafes and shops. 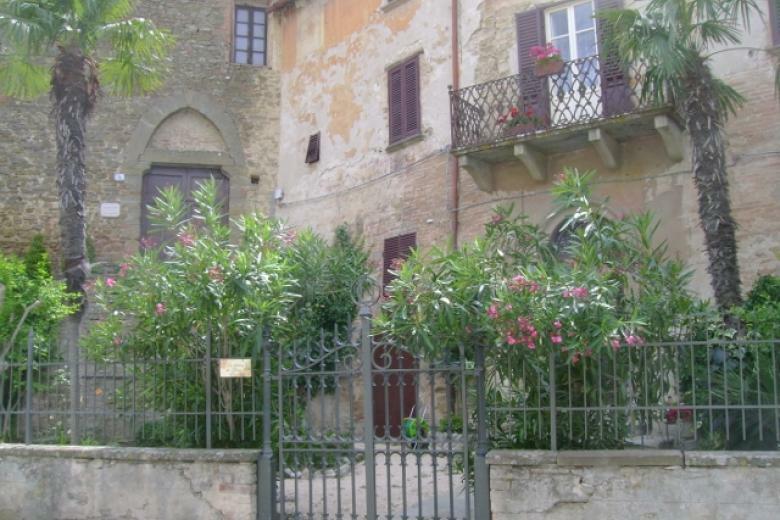 Imagine living in elegant luxury in a historic home in one of the most vibrant towns in Umbria. Wake up to the smell of freshly roasted coffee and pastries. Sit in the afternoon soaking up the sun and the best panoramic views in all of Umbria.